Illustration of a wash bay setup. Need to get a wash area up to local authority standards? Triple interceptors or oil separators alone aren't enough. But Cleanawater's wash bay equipment will help you meet their strict criteria. Our wash bay equipment can be effectively retrofitted into existing wash down areas. Or we can design and build one that's perfectly suited to your site. 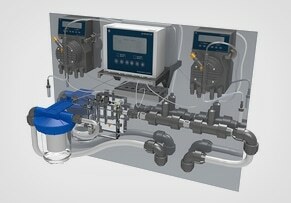 Cleanawater wash bay solutions are engineered for efficient performance. Because they exceed water authority standards, you save on costly fines and shutdowns – as well as ensuring you meet your Environmental Duty of Care. They're available in permanent and portable format – so you can simply choose the option that best suits your site. Cleanawater can conduct service and maintenance to suit, ensuring your wash bay equipment delivers optimal performance for decades to come. 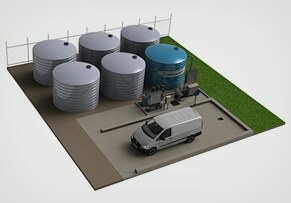 Truck wash bay and water recycling plant. 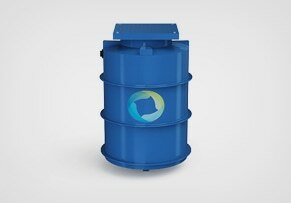 Pipe and tubular wash pad. 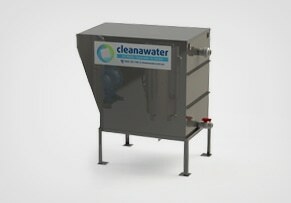 Cleanawater's permanent wash bay equipment can be effectively retrofitted into existing wash down areas. Or we can design and build one that's perfectly suited to your site. Either way, you'll benefit from our 20 years of wash bay expertise across a wide range of industries. Need a portable or temporary wash area that's up to local authority standards? Cleanawater's portable wash bay equipment will help you meet their strict criteria. Our portable wash bay equipment can be transported to your site as a plug-and-play system that's ready to go. Or we can design and build one that's perfectly suited to your site. Cleanawater's Australian Quarantine Inspection Services (AQIS) wash bay equipment will help you meet strict quarantine criteria. Whether you require a new solution designed from scratch – or need to bring an existing wash bay up to standard – we can deliver. Investing in a Cleanawater AQIS wash bay means avoiding costly fines and shutdowns – and opens up new revenue streams from quarantine wash downs. How do I know if my wash down bay is compliant with local authority regulations? If you are unsure, call Cleanawater on 1800 353 788. Typical unroofed wash down bays require perimeter bunding, a holding pit, a diversion system and a pre-treatment device to treat wash down water and should not allow run-off to a storm water drain or adjacent area. How do I best retain solids that accumulate in my wash down practices? 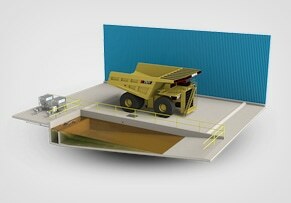 Silt traps and baffled pits are effective measures to retain solids for easy scheduled removal. 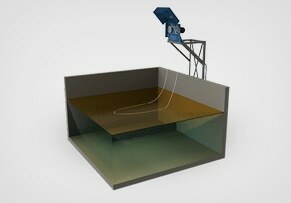 Beach pits/drive in sumps are excellent for high solids wash down environments. Do I need any equipment to treat wash down water? 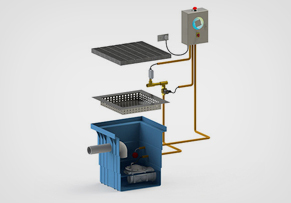 An approved pre treatment device is required to treat wash down water in wash down bays. Simply allowing wash water to discharge into drains is strictly not permitted. Unroofed wash down bays over 20m2 may require a first flush diversion system to divert rainwater to stormwater. I don’t have sewerage on site, can I still install a wash down bay? In the absence of sewer, other approved discharge methods include leach drains, evaporative ponds or holding tanks. Regional areas who are on septic should contact the local shire or council for advice on where to discharge treated wash water.